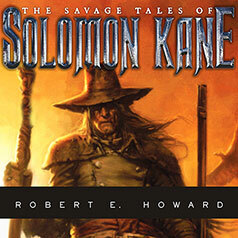 The adventures of legendary Puritan swordsman Solomon Kane from the author of the many tales of Conan the barbarian. With Conan the Cimmerian, Robert E. Howard created more than the greatest action hero of the twentieth century—he also launched a genre that came to be known as sword and sorcery. But Conan was not the first archetypal adventurer to spring from Howard's fertile imagination. He was...a strange blending of Puritan and Cavalier, with a touch of the ancient philosopher, and more than a touch of the pagan.... A hunger in his soul drove him on and on, an urge to right all wrongs, protect all weaker things.... Wayward and restless as the wind, he was consistent in only one respect—he was true to his ideals of justice and right. Such was Solomon Kane.